Deposit Bonuses are the most common and easy to understand bonuses in online casinos. They are the first bonus that a new player will encounter. It is not possible to miss these bonuses as they are the first thing you’ll see when entering a casino website. Online Casinos like to flash their match bonuses as they are practical, useful and great for luring new customers. Also known as Match Bonus, Deposit Bonus follows a simple concept; the casino matches a certain percentage of your deposit amount and awards it as a bonus. The main concept to understand here is that these bonuses aren’t cash, they are part of a separate account and they cannot be withdrawn. You’ll have to convert them into cash by fulfilling a requirement called Turnover requirement or Wagering Requirement which is explained in the terms and conditions section of this article. We will be focusing on both these bonuses in this article and explain all the terms and conditions attached with them. Please visit our ‘No Deposit Bonus’ page and ‘Casino Loyalty Program’ to learn about other types of Casino bonuses and Promotions. Sign Up bonuses are applied to new customers and are expressed in percentage term. When a new player enters the casino, registers and makes the first deposit, they are eligible for the welcome bonus. Usually, a welcome bonus is expressed as “100% of up to $200”. This means, if a player deposits $300 initially, he will receive a bonus amount of another $200. Every casino will have its own percentage offering and the maximum amount that they offer to its new customers as a bonus. If a player deposits more than the maximum bonus eligible, they will get a bonus for the maximum amount stated and the rest is non-bonus cash. Reload Bonuses are offered when a player makes additional deposits in his account after the first one. Reload bonuses follow the same principle as the welcome bonus; a certain percentage of the deposit is given as a bonus. The number of deposits eligible for bonuses depends on the casino. Some casinos offer reload-bonuses on the player’s second and third deposit whereas others might go beyond. It is not necessary that reload bonus offer a 100% match. It is most likely the case that the bonus percentage subsequently decreases as the number of deposits increase. So, while a player may have 100% welcome bonus, the casino may offer a 70% match bonus on the second deposit, a 50% match bonus on the third and a 30% match bonus on the fourth deposit. It is common that online casinos offer a package bonus where they offer the whole package consisting of the welcome bonus and the reload bonus. In that case, players may come across a bonus stating, 100% match on first 4 deposits up to $400. This means, the casino offers 100% match deposit on 4 deposits, each of maximum $100. Online casinos offer a wide range of banking methods for players to deposit their money and withdraw some of their funds. However, in order to encourage their players to use a specific method over others, they can offer additional payment method bonuses. Payment method bonuses can be viewed either in the casino’s promotion page or their banking page. 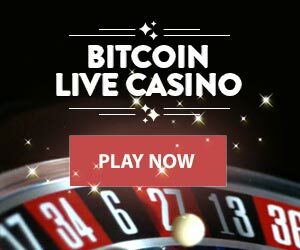 Normally, this bonus is expressed in terms of percentage where the casino rewards a certain percentage of the deposit made through that specified deposit option as a bonus. The bonus amount cannot be treated as cash and is not withdraw able. It will be credited separately in a bonus account. However, it will be treated as cash once the player completes the playthrough or turnover requirement. Playthrough/Turnover/Wagering requirements: This condition requires the player to turn over the deposit amount certain number of times before treating it as cash. If you deposit $100 dollars and receive $100 as a bonus and the wagering requirement is 30x, you’ll need to place an accumulated bet of $100X30=$3000 dollars to convert that bonus into cash. Players will have to play casino games and place bets to fulfill these requirements. Games count towards turnover: Casinos exclude some casino games to be wagered with the bonus credits. Generally, these are games that have the highest payout percentage. They do not restrict all games but increase the amount that needs to be wagered on a specific game. In most cases, players will find that Pokies count to 100% of the bet amount whereas games with lower casino edge like Roulette, Video Poker only counts towards 10% of the actual wagered amount and Blackjack may count only 7%. So a dollar wagered in Blackjack will count as only $0.07 towards the turnover requirement. Any withdrawals from your cash account before fulfilling the bonus requirement will void the bonus. You must complete the bonus requirement before placing real money bets. Depending on the casino, additional terms and conditions will apply.